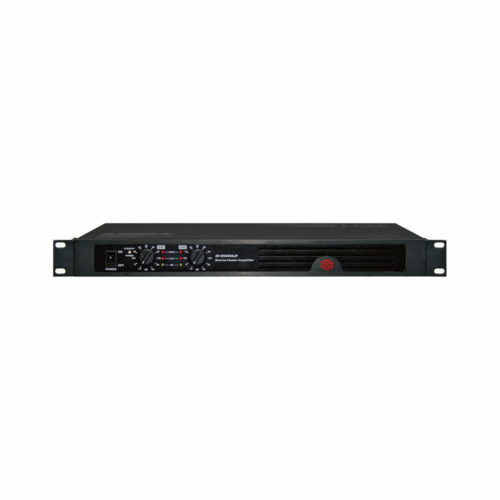 D-500 is a 4 x channel high power digital amplifier featuring 4 x 500 W into 4Ω load and 2 x 1000 W in bridge mode. 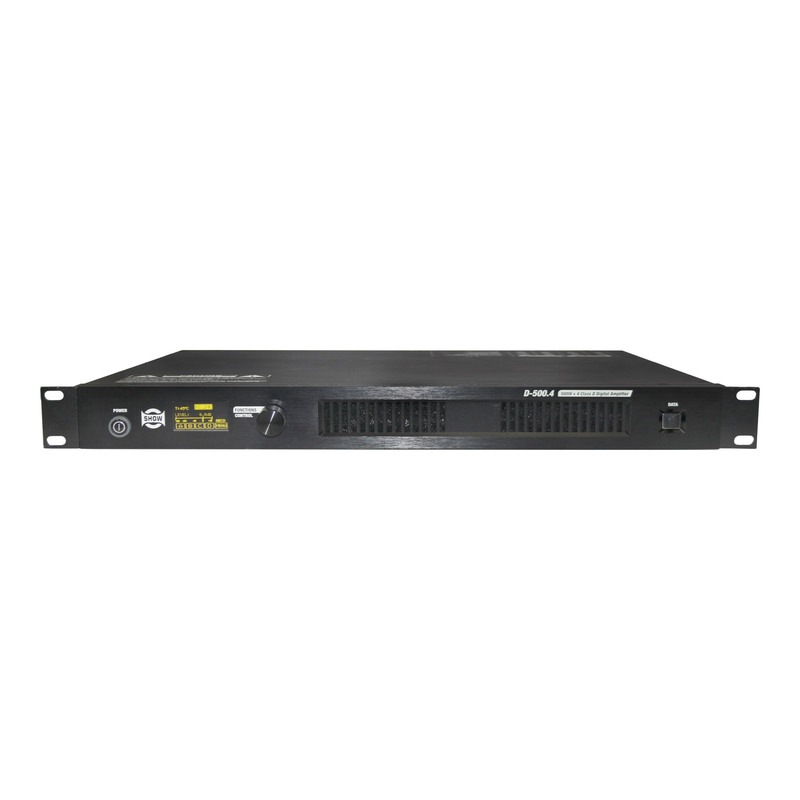 D-500.4 is a 4 x channel high power digital amplifier featuring 500 W per channel into 4Ω. In bridge mode it becomes a stereo amplifier delivering 1000 W per channel. D-500.4 includes a powerful DSP where all parameters can be edited via a built-in OLED screen with an encoder or via a PC using the software editor. 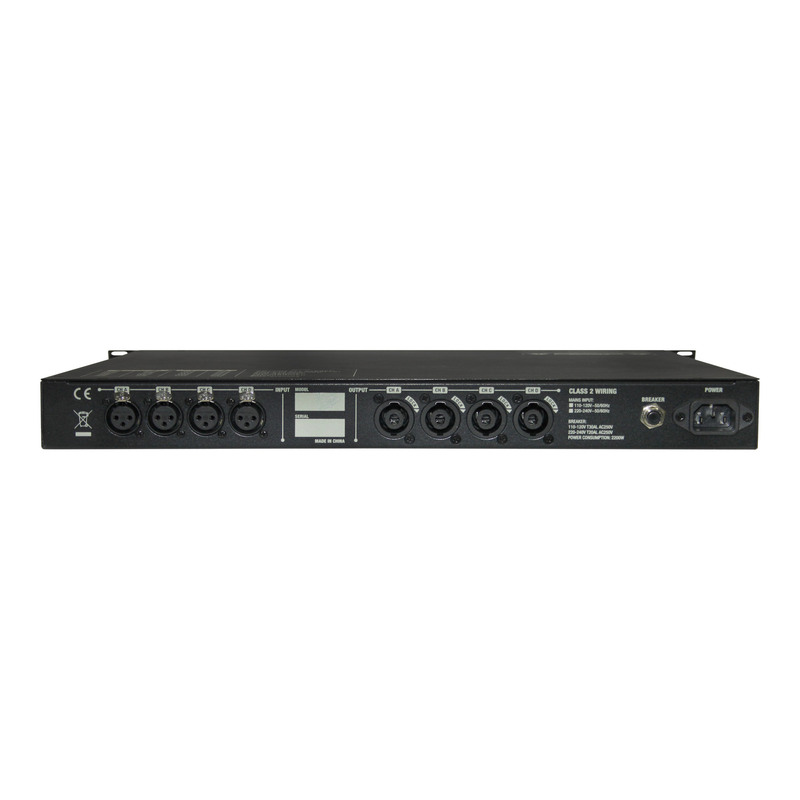 DSP functions include 8 band EQ, noise gate, compressor and delay with temperature setting. 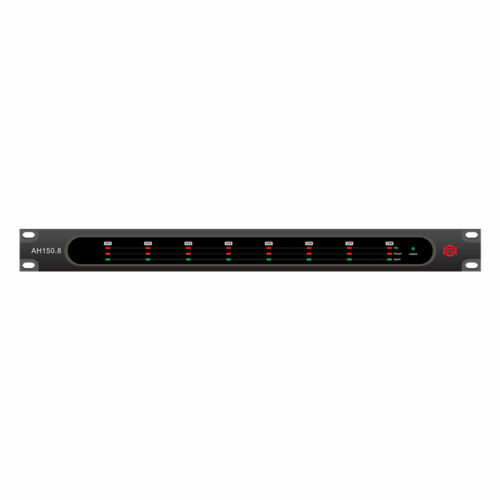 Working modes and channel routing are also available and can be edited easily as other DSP parameters. 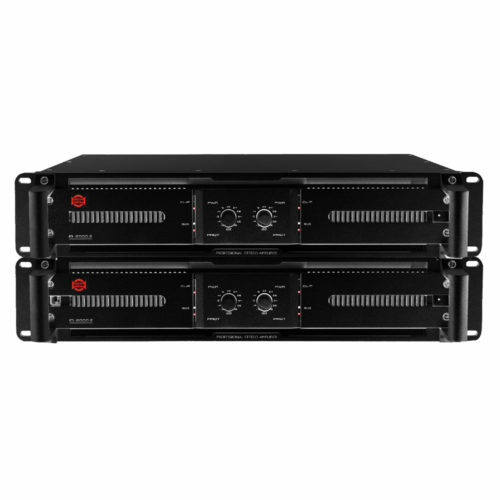 The D-500.4 is very compact (1U rack) and light (8kg), so it is a perfect amplifier for high power fixed or mobile applications. 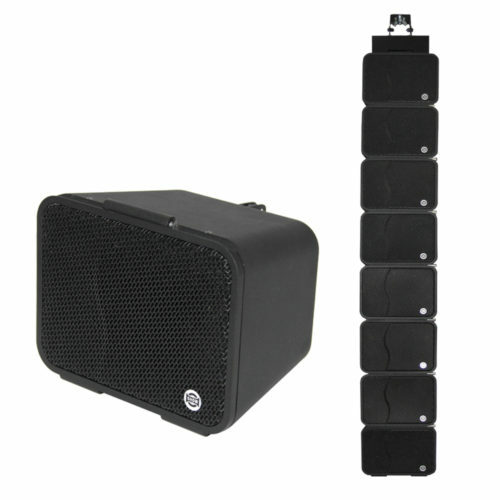 Protections Full short circuit, open circuit, thermal, ultrasonic, and RF protection stable into reactive or mismatched loads, turn ON/OFF, Mute, tried crowbar.